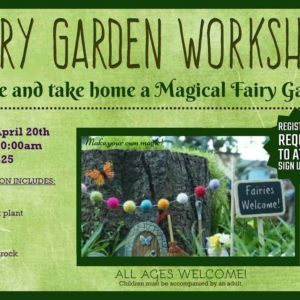 KIDS Paint & Plant Workshop 11:00AM – Nelson Nursery, Inc.
Join us for a fun workshop just for KIDS. 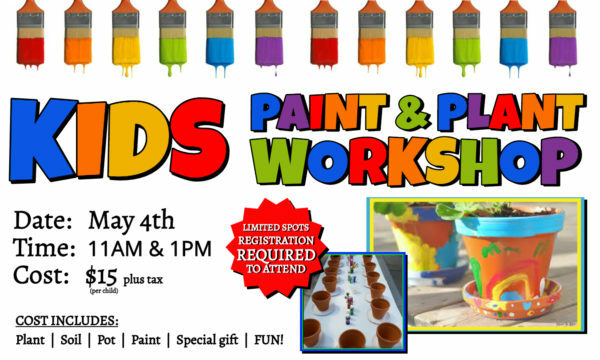 Plant | Soil | Pot | Paint | Guided Instruction | Lots of FUN! Paint, personalize and plant a beautiful flower in you very own planter.